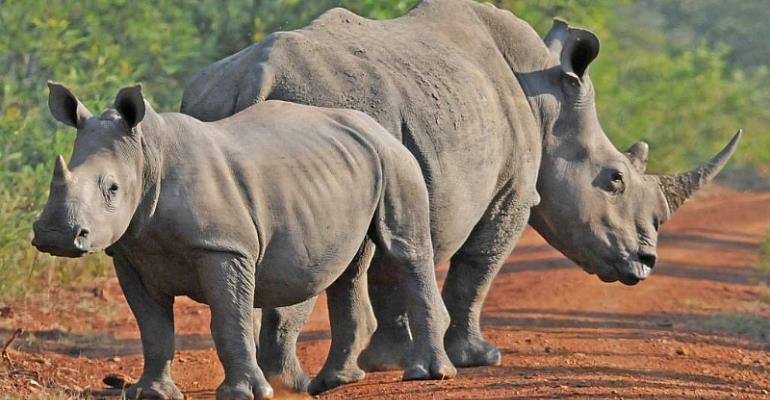 TRAFFIC – a conservation organisation specialising in wildlife trade issues based in Cambridge, UK – says three rhinos are poached every day just in South-Africa, home to nearly 80 percent of African rhinos. Despite a ban since 1977 on the international trade of rhinoceros horn – regulated by CITES, the Convention on International Trade of Endangered Species – the illegal trade of rhino horn is booming. “One worrying development is that we are seeing more engagement and interest in rhino horn from Chinese consumers with Chinese nationals behind criminal gangs. On the other hand, the demand in Vietnam is beginning to wane,” he explains. “Really it is a way of showing off their wealth, that they can afford this fabulously expensive product,” says Thomas. “Basically, [it means] persuading people that using rhino horn is not a cool thing to do. There is some indication that it is having an impact in Vietnam but it's a long process. It's ingrained in people's mind and culture. You're simply not going to get a shift overnight. It will take years,” he declares. “It's never been disclosed how much was actually sold domestically but indications show it is not a lot,” declares Thomas. “There's been a big move to follow the money and pursue the criminal elements by looking at financial flows and tracking them down that way,” says Dr Thomas.